The first Turner Classic Movies (TCM) Classic Cruise will take place Dec. 8-12 and will feature film legends Ernest Borgnine, Tippi Hedren, Eva Marie Saint and Norman Jewison, along with TCM’s primetime host Robert Osborne, TCM weekend-daytime host Ben Mankiewicz and the Alloy Orchestra. 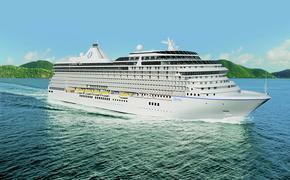 The four-day voyage aboard the Celebrity Millennium will sailing from Miami to Key West and Cozumel. Among the special onboard events will be “Hitchcock Blondes: Eva Marie Saint and Tippi Hedren,” who will share their memories of working with legendary director Alfred Hitchcock; “A Conversation with Ernest Borgnine,” who, with Osborne, will discuss the 94-year-old Oscar winner's life and career; “Key Largo in the Keys,” where the Humphrey Bogart and Lauren Bacall film “Key Largo” will play while the ship sails the Florida Keys; and “A Poolside Affair,” a poolside screening of “An Affair to Remember.” For more information, call 877-223-7030 or visit www.tcmcruise.com. For information about Celebrity Cruises, call 800-437-3111 or visit www.celebritycruises.com.